Wills & Probate Category Archives - Military Veterans' Lawyer Blog Published by Military Veterans' Attorney — The Law Offices of Robert B. Goss, P.C. 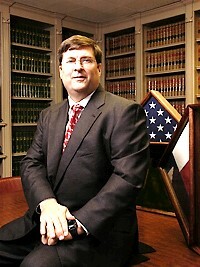 Robert B. Goss is a Veteran, attorney, and the founder of the Law Office of Robert B. Goss, P.C. Bob, as he prefers to be called, started his law firm in response to the need he saw for a level playing field between Veterans and the government system intended to provide benefits to Veterans. Recently, I had an opportunity to discuss with Bob some of his thoughts on how Veterans can be better served. The following is Part II of a two-part conversation. Eleanor Meltzer: Bob, I know Veterans can contact you directly. What recommendations do you have for Veterans who are struggling to obtain benefits? The 2010 Census offers unique insight to U.S. Veterans. Over 835,000 Americans are Veterans who served during both Gulf War eras. Almost 50,000 more American Veterans served in Vietnam era and both Gulf War eras. Clearly, there is a large population of Veterans who likely have service-connected injuries which manifest themselves more painfully as time goes on. 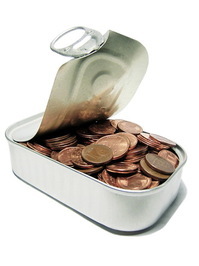 VA’s Upcoming Changes to Pension Benefits: Are You Prepared? Constant vigilance is important in any estate plan involving Veterans benefits. Earlier this year, the Department of Veterans Affairs (VA) published a proposed rule to amend its regulations governing entitlement to certain pension benefits. Veterans: Are You Protecting Your Domestic Partner? Are you protecting your domestic partner? Remember the old saying, “An ounce of prevention is worth a pound of cure?” This statement could not be more true for planning your estate. Let’s take an issue that’s been in the news quite a bit these days: domestic partnership. If you have a domestic partner, will they receive your benefits? What happens if you become gravely ill? If you want your domestic partner to make vital health decisions on your behalf, do they have legal permission? If you are gravely ill and have minor children from a previous relationship, will your domestic partner have the legal right to care for your children as you wish? Today, the Alamo fell to the Mexican Army under the command of General Santa Ana. After holding off a far numerically superior army for 13 days the final assault began shortly after midnight. Using darkness and a calm the Mexican army crept close to the Alamo, and at approximately 0530 began the final assault. By 0630 all the Texican forces, defenders of liberty were dead. The Texas defenders and Army, however, won the war 6 weeks later as Gen. Sam Houston defeated Gen. Santa Ana and his army at San Jacinto, TX. Today is the 69th anniversary of the invasion of France to liberate Europe from the Nazis. This week I mentioned D-Day was Thursday. One of our young secretaries stated she did not know about D-Day. D-Day for WW II was on June 6, 1944. D-Day is the day the Allies launched the largest military operation, at the time, to free France and all of Europe from the Nazi occupation. This week the U.S. Senate lost their last World War II (WW II) veteran, Sen. Lautenberg. He served in the Army Signal Corps from 1942-46. After separating from the Army Sen. Lautenberg used the GI Bill to earn an economics degree and eventually serve New Jersey as a U.S. Senator. For those of you who have served, you know this Fact – – Military Retirees are Veterans. But it seems with Sequestration upon the United States, the Department of Defense at the urging of the White House has a solution – – have Military Retirees pay MORE IN TRICARE FEES. Why raise TRICARE fees because of my favorite White House word “fairness.” The whole idea pushed for Obamacare was fairness for those without health care. But the WH states Military Retiree’s Health Care costs are not fair compared to the public. But is it fair to give free health care to those who do nothing? And then conversely argue it is fair to force Veterans who are Military Retirees (remember Military Retirees include veterans who were medically retired due to Injuries) to pay ever increasing TRICARE fees. TRICARE raised all fees in 2012. No – – The proposal to keep raising TRICARE fees on the back of veterans is not fair. Protection afforded Veterans and their VA benefits. VA benefits are protected from creditors, taxation, and other legal processes. With the extremely long delay in obtaining VA benefits from the VA, many veterans face tremendous and crippling medical bills. This blog will help you know your rights, and protect your VA benefit payments. Please see https://www.attorneyforveterans.com. Threats and constant calls from creditors and even advice from non-VA accredited attorneys may compel veterans to make unwise decisions regarding their VA benefits. One of my veterans desperately e-mailed me stating his bankruptcy attorney was going to include his VA disability payments as an asset that a hospital could collect and garnish. This advice is incorrect. The veteran just wanted to have the creditor stop calling.